Bandai Namco said that Mario Kart Arcade GP DX would be receiving annual updates when the game was first announced. This has held true in Japan, and the overseas version has now received its first update as well. Mario Kart Arcade GP DX version 1.04 EX brings about a number of new elements. 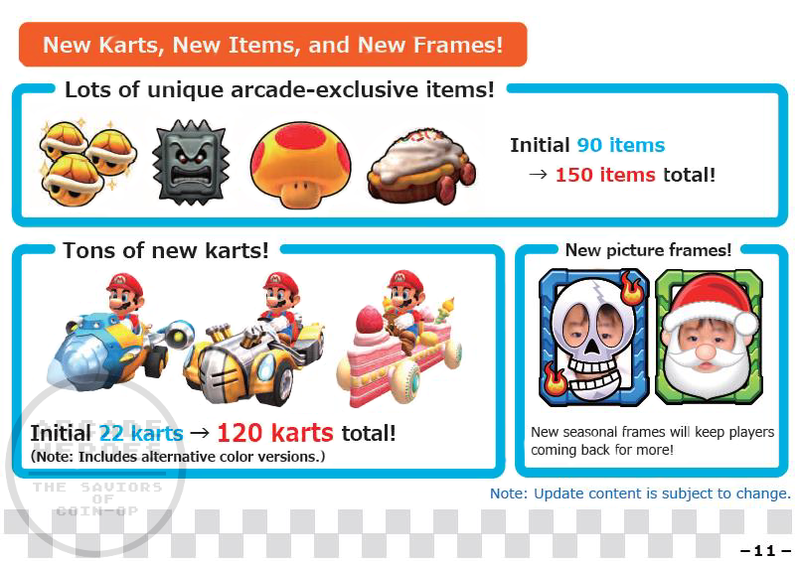 This includes new characters Metal Mario and Rosalina, mirror modes of all tracks, a new title screen, new vehicles and power ups, and improved drifting mechanics. Mario Kart Arcade GP DX’s new version features three levels of boost based on the length of your drift. Drifting now provides a boost at the end similar to the Mario Kart console games. The Japanese version of Mario Kart Arcade GP DX most recently added an online cross-site vs. location. It’s speculated that this will be available in the next annual update here in the west.